FiberPro is a complete and effective blend of soluble and insoluble fiber, which can help to ease food through your digestive system naturally. This flavorless powder mixes easily with water, or with other Isagenix products, such as the IsaLean shake, IsaLean Pro or IsaFlush. Each single-scoop serving provides 5g of fiber – around 20% of your RDA. FiberPro is the versatile, natural solution to digestive problems, and the perfect daily partner to a healthy gut. Derived from vegetable sources, you won’t find anything artificial in FiberPro. Each scoop contains 5g of usable fiber – that’s around 20% of your recommended daily allowance (RDA). That fiber, is of the both the soluble and insoluble varieties, which means it’ll add bulk, helping you to feel fuller for longer, and lend a helping hand to your digestive system to get things moving quickly and regularly. You can mix FiberPro directly into water, for a quick and simple fiber shot. However, if you want to make the most of the fiber you’re taking in, try mixing FiberPro with IsaLean, IsaFlush or IsaLean Pro, to take full advantage of the group effect these fantastic vitamin and mineral supplements can have. IsaFlush is Isagenix’s popular digestive cleansing supplement. Made with magnesium and a carefully blended selection of herbal cleansers, IsaFlush makes the ideal companion to FiberPro. Combine the two and rediscover what it’s like to have a digestive system that actually runs as it’s supposed to. Follow the directions on the IsaFlush packet, then simply stir in one scoop of FiberPro for a fantastic fiber boost, every day. On the surface, soluble and insoluble fiber might appear to have contradictory roles. Soluble fiber is more of a digestive system massager, slightly slowing movement and contributing to a feeling of satisfied fullness. Insoluble fiber helps to speed up digestion. Put them together in the right balance, however, and you get the best of both worlds. Feel full for longer, improve absorption of nutrients, and encourage regular bowel movements. A lot of foods contain both soluble and insoluble fiber, but in FiberPro they’re found in such an ideal ratio. Fiber is one of the major food groups, along with proteins, fats and carbohydrates. It’s responsible for helping food move through the digestive system, where nutrients are sorted and absorbed. Without fiber, your digestive system can become slow and clogged. That’s not just uncomfortable, it’s detrimental to your health. If you don’t have a properly functioning digestive system, nutrients aren’t absorbed properly. You’re essentially wasting your food, even though you’ve eaten it. Fiber helps to keep you regular, which in turn, ensures that you’re taking out as many nutrients from your food as possible. FiberPro is made using Isagenix’s blend of Active 6 Probiotics, to help keep your digestive system in check and healthy, on a daily basis. Take one scoop 1-2 times per day. How do use this product? FiberPro is a flavorless powder that mixes easily with water, fruit juice, oatmeal or other Isagenix shakes. Just add a scoop and stir until dissolved. Fiber helps to keep your digestion regular, which in turn means you’ll absorb more nutrients from your food. What's the recommended daily allowance for fiber? The RDA for fiber is between 25-30g. One scoop of FiberPro contains 5g of fiber. It is flavorless so that it’s more versatile. You can mix it into almost anything you like, from water to oatmeal. What'a the difference between soluble and insoluble fiber? The two types of fiber combine to gently ease food through your digestive system, and promote a feeling of fullness and wellness. 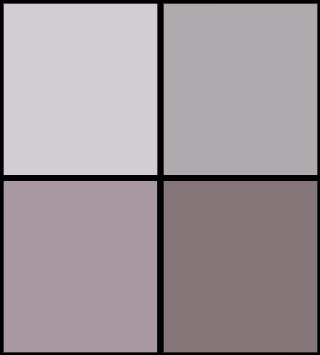 Isamune with Zinc: A simple way to support your immune system and protect against colds this winter. Isagenix Greens: A potent blend of green vegetables including chlorella and spirulina. Ionix Supreme: With over 100 different herbs, minerals and botanicals discover natures answer to stress! 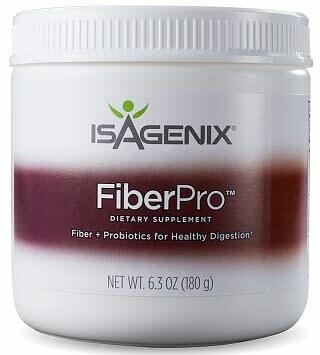 Put your daily digestion back on track with FiberPro, Isagenix’s all-natural fiber solution.